TravStar1 Point Of Sale SystemManager's Work Station Daily ProceduresHow Do I Run a Shift Report? This lesson will teach you how to run a Shift Report. 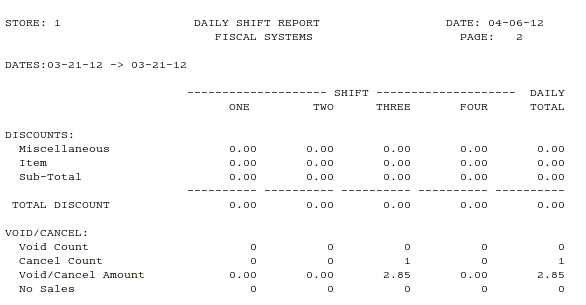 From the Daily Procedures tab, click on the "Shift Report" button. 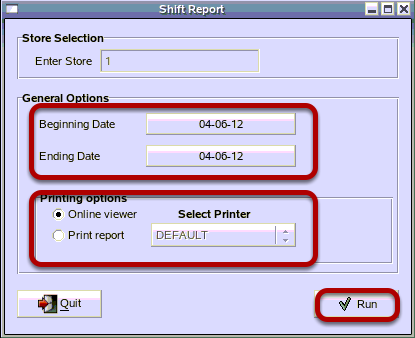 The Shift Report is used to show the total of the day's activity by shift. It also shows the number of voids, canceled sales. and no sales by shift. (2) Click a print option for the report. This defaults to Online Viewer. From the Online Viewer you can still choose to print the report. (3) Click on the "Run" button to run the report. 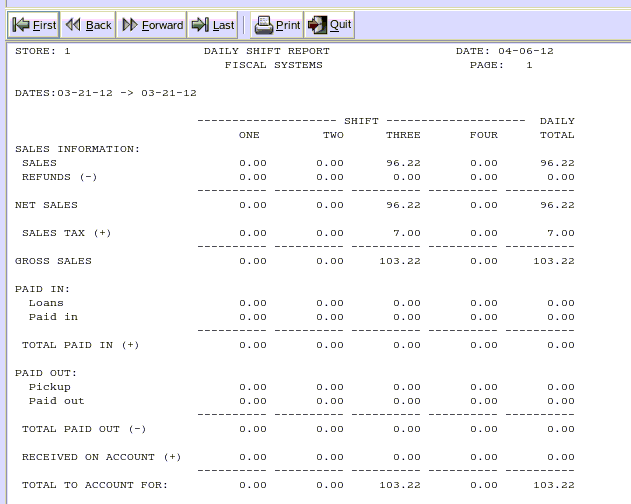 The first section of the shift report breaks down sales, taxes, paid ins, and paid outs by shifts. 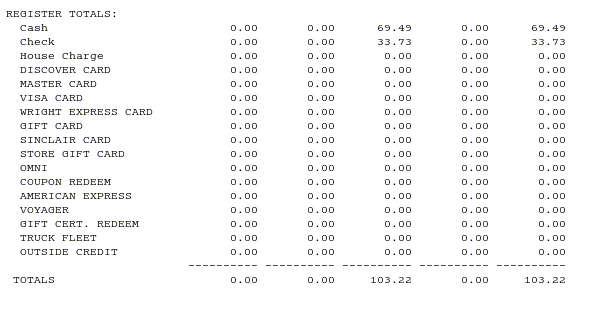 The bottom of the report displays discounts, voids, canceled sales, and no sales by shift . Prev: How Do I Run a Department and Inventory Sales Report? Next: How Do I Run the Media Detail Report?